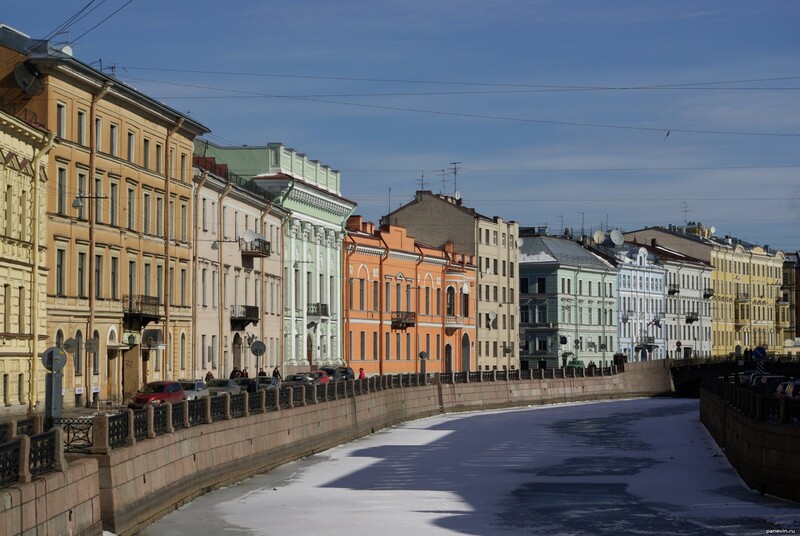 Moyka Quay, it is joyful brightened the winter sun and the river covered with ice. Multi-coloured buildings on the Moyka and on Fontanka invariably please me. Blog, posts embankments, Moykas, river, St.-Petersburg, winter.